PDFs are great, they can help you easily send stuff around to others, send larger files in a smaller size and much more. Unfortunately, dealing with them can be a pain at times, especially if you need to sign them, merge them or anything else. You could spend hours fixing mistakes, making edits or printing them only to sign and scan them again. Well, don't let all those things hold you back. PDF Expert 2.0 for the Mac is a great way to save you a ton of time on various tasks related to PDFs. You'll be able to edit text and images, fill out forms, share PDFs to your iPhone or iPad, as well as clients and coworkers. The app can do a ton, and if you deal with these files regularly you need it. All of that can be yours for just $25 for a limited time, a great savings from its regular $60 price tag. Whether you deal with PDFs randomly or regularly, this is a great utility for your Mac, and you'll want to grab it before the sale ends. Just like Square, Venmo is accepting the reality that some people like having a physical payment card in their wallet. If nothing else, it’s good having a backup for digital payments, and a card makes spending your Venmo balance in the real world more convenient. With its new iOS update today, Venmo is signaling a wide release of its debit card. The company has been testing a physical Visa card for months, but for the official release, it looks like Venmo has switched to MasterCard and a vertical design. Users can now “get in line” for the Venmo debit card, and when it’s ready to ship, they’ll be able to choose from a selection of colors. Venmo’s card has a chip for security, and an icon near that chip also indicates support for contactless payments. There’s no fee for signing up for the card. 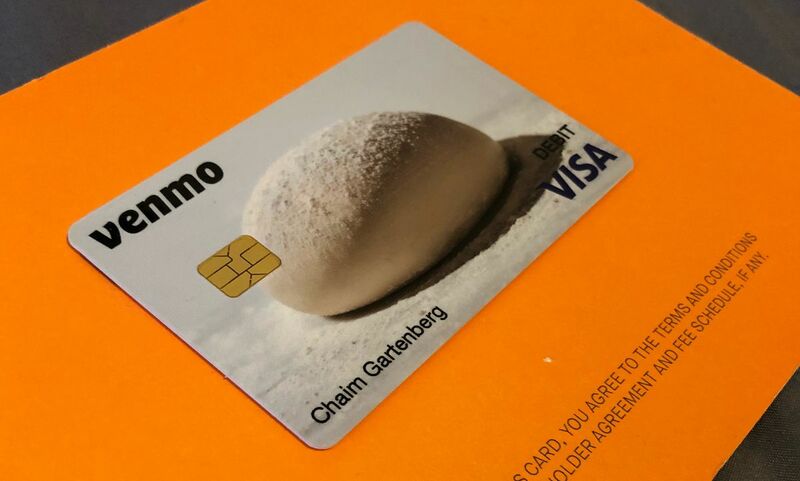 Venmo oddly chose to use a picture of bread dough for the beta test of its card, but it’s going more traditional for the proper consumer release. Square lets you draw whatever you want to be etched onto its Cash card, but Venmo’s not offering that level of customization. The debit card is issued by the Bancorp Bank. Users can deactivate the card from within the Venmo app when it’s misplaced and then reenable if and when it’s found. That’s table stakes for payment cards these days, but at least the option is there. Venmo has been beta testing this Visa card for months, but the final version uses Mastercard instead. For now the card is in “limited release,” though Venmo says it’s working quickly to move people off the waitlist and process applications. The card should arrive within 5 to 7 days after you’ve been approved. It can only be used in the United States; Venmo says it won’t work for international merchant purchases. Regular purchases don’t have any fees, but there’s a $2.50 fee if you want to withdraw money from your Venmo account using an ATM. Updated June 25, 2018: Microsoft has now confirmed that ad blocking is rolling out to everyone on iOS as well. Jill Krause and her husband Scott had achieved what they describe as “peak American dream.” They had the house—a five bedroom beauty on an acre of land in a top-rated Texas school district. But that dream, they realized, was sucking the life out of them. The couple was spending just about all of their free time maintaining the property, and yearned for their kids to see what’s beyond the grind of extracurriculars and standardized tests. So at the beginning of last year, the Krauses made a drastic decision—to sell the house, move into an RV and hit the road. 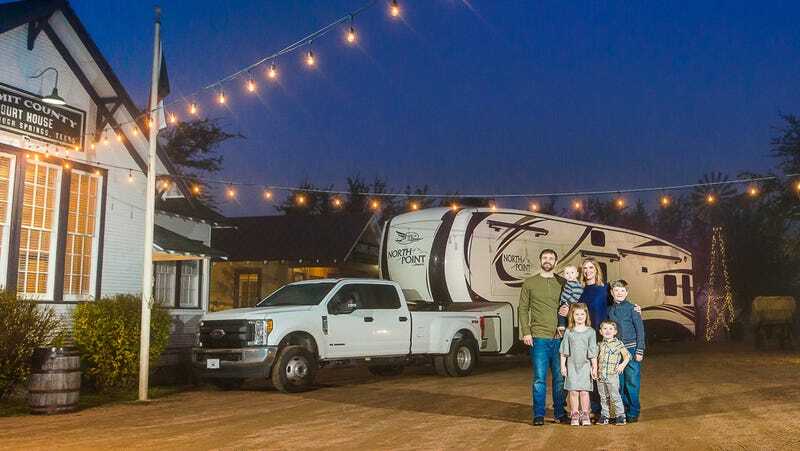 Now the family of six is “roadschooling”—homeschooling on the road—while sharing tips and tricks for RV life in a blog and YouTube series called Happy Loud Life. Jill tells us how she parents. Scott and I worked really hard to achieve our idyllic family life from the time we met each other. We both put ourselves through college, worked hard to advance in our careers, and mostly planned to have all four kiddos we have now, though a couple came at unexpected times. While we didn’t plan to sell everything and hit the road in an RV, it was definitely a choice we intentionally made once our hearts were open to the idea in 2016. Now that we live in the RV fulltime and roadschool the kids, there is very little that gets us out the door earlier than 10 AM, and that’s one amazing perk of this trip. Even still, it can be hard to round four kids up and get them going, no matter what time of day it is. We keep all shoes in one spot, which is a trick we had back when we lived in a 4,000-square-foot house that still serves us well. We also have tried-and-true grab-and-go snacks (big love for the Target brand fruit leathers) that we always keep stocked, and we keep extra diapers and wipes right by the door. So we know exactly where to go for shoes, snacks and diapers. Those are really the key things we need before we go anywhere. Scott and I have always operated as a team that plays to each other’s strengths. Scott does the dishes and laundry every night and is really doing the bulk of the childcare right now while I’m working full time from the road. But before we sold our house, he had a full-time job that required me to do those things. Now that we are traveling, we get zero outside help. It’s exhausting, but we know it’s temporary. There was a time we had a weekly housekeeper, and when we get back into a house, it’s my goal to incorporate that expense into our budget. She made our life feel so much less chaotic. We couldn’t do this trip without our iPhones, which I know is not a novel answer, but thank goodness for them. I take a ton of pictures of the kids and our family as we go from state to state, and I really love editing them on my phone with A Color Story. Instagram is our main family story telling platform these days, but I also love printing those photos with Recently, which turns your camera roll into a photo magazine. For living with a toddler in an RV, a few game-changing products include the Lotus Travel Crib, Summer Infant Pop N’ Play Portable Playard and Stokke Flexi Bath, which folds up really small and be stored away in our cabinet. Our RV is pretty spacious in terms of RVs, so we have this awesome living/dining/kitchen area with two comfy couches and a big TV. We make dinner with a lot of documentaries on in the background, like Planet Earth or The National Parks by Ken Burns. We read stories to the kids most nights, and tuck them into bed just like we did in our house. Scott and I have to be intentional about carving out self-care and time for the two of us while we do this. We like to watch shows like Westworld or The Walking Dead in our room after the kids go to bed. We like to find local craft beers or wines wherever we travel, and enjoy a drink while we watch. What are your on-the-road hacks? We love listening to podcasts on the road with the kids. Our family favorite is Circle Round. Scott and I also like to listen to How I Built This, which isn’t really a kid’s podcast, but I love that our kids can overhear stories of success that always include details about their failures. I think it’s so important to teach our kids that failure is a huge part of growth and success. I’m really proud of our kids for taking this leap with us. It’s not that they had a lot of choice, and there are many days they complain or miss our old life, but they’re here, living it. They find joy in the new things we experience. They are creating such strong sibling bonds without even realizing it. I think we end every day not very proud of something we’ve done as parents. We are always working on our patience and our intentions with the kids. I’m not proud that I lose my temper or that I feel like I need to manage my work time better so I can give the kids more focused attention. So every day I wake up and try to get better at those things. I brought up the idea of this trip—to sell the house and buy an RV and travel—at the dinner table one night in February, 2017. We had a lively family discussion about it, and I hope my kids will always remember that night that mom had this wild idea, and then we did it. I hope they will learn to speak their own wild ideas into life and to take risks because they saw me do the same. Do you have any funny/weird/special family rituals? Instead of singing the Happy Birthday song to each other on our birthdays, we play Parry Gripp’s “There’s A Cat Licking Your Birthday Cake” and sing along. It’s so much more fun! Do it! Don’t wait. There’s never a perfect time. Yes, it will be loud and cramped and stressful and chaotic. It will also be so fulfilling if you can let go of your expectations and let the magic make itself. We've already reported about the service program in more detail, but the gist is that Apple and Apple Authorized Service Providers are now offering free repairs of affected 2015-and-later MacBook and 2016-and-later MacBook Pro models with sticky, unresponsive, or inconsistently functioning keys. Be prepared to go a week-plus without your MacBook. Apple quotes a turnaround time of five to seven business days for service to be completed at Apple's off-site repair centers, but wait times may increase as an influx of customers take advantage of the program. If your MacBook or MacBook Pro experiences keyboard issues after being serviced under the program, Apple says customers can bring their unit back in to be looked at again. This suggests, but doesn't explicitly state, that the program may be used more than once. It's still not entirely clear if the replacement keyboards have been slightly revised to address the issues that prompted the service program in the first place. Apple has been fairly communicative with me about this program, but has so far skipped right over this question when asked. iFixit CEO Kyle Wiens also told me he believes the keyboard design hasn't changed at all in a few years. 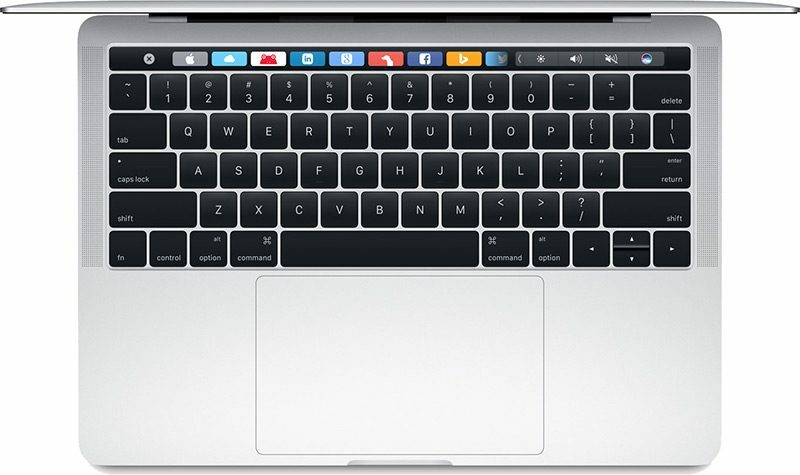 However, anecdotal reports from customers suggest the 2017 MacBook Pro keyboard "has a different feel to it," with some calling it "better" and less prone to issues. Marco Arment, for example, said it is "more 'damped' in both feel and sound, as if there's more rubber somewhere." 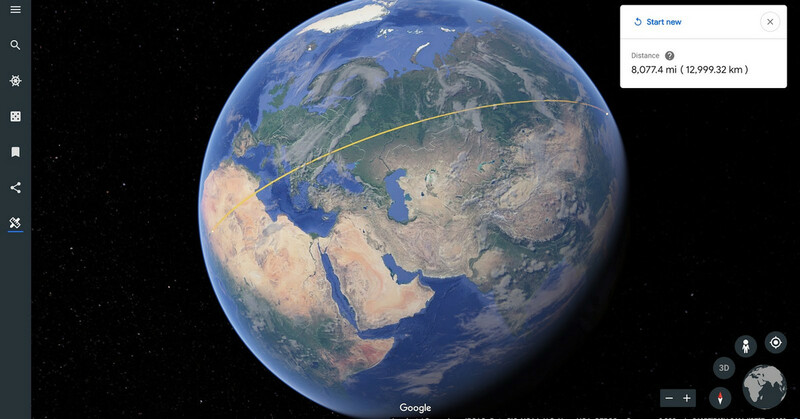 We'll share any further information as we come across it. In the meantime, if you are experiencing keyboard issues, read our article on How to Get a MacBook or MacBook Pro Keyboard Repaired Free Under Apple's Service Program. Your tiny Joy-Con controllers may have fantastic haptics, but they can sometimes cramp your style (and your hands). Every time a friend tries out my Nintendo Switch for the first time, they comment on how small the Joy-Con controllers are, especially when each person is using just one Joy-Con. You can add a variety of different grips, whether ergonomic or simply for a better hold, and they are way cheaper than investing in an expensive Pro Controller. Here are 10 grips that will sweeten your Joy-Cons in style. Those wing grips swivel out for a variety of positioning options. Get them on Amazon for $10. It makes those tiny Joy-Cons way bigger for the small price of just $12. These stud muffins will tickle your digits while you play. $12 for 10 tickles isn't bad. Add some more color to you Joy-Cons, while getting the most comfortable grip you can for your $8. AmazonBasics is the perfect brand for getting the basics at a super great price. This grippy goodness is just $12. Don't need all the grippy but want better joystick coverage? Get 'em in a variety of complimentary colors and sizes for $8. It's grippy and studded and covers your Joy-Con Grip for just $10! It's called "camouflage blue" but I can't think of anything that this could blend in with. It looks cool, though, and only costs $11. Look at those nice, springy shoulder buttons. Yum! They're pricier at $25, but they do charge your Joy-Cons. Tennis anyone? These are the perfect grips for Mario Tennis Aces. I can't get over how cute they are and they only cost $17. Do you have a favorite grip for your Joy-Cons? Show us your style.